SACRAMENTO — In an effort to help clean California’s navigable waterways, California State Sen. Ted Lieu (D-Torrance) announced the introduction of Senate Bill 122 — to renew Assembly Bill 166, which he authored while in the Assembly. The measure created a voluntary program that currently allows boaters to legally turn over unwanted vessels to a local agency instead of abandoning them illegally. AB 166 was designed to help prevent the abandonment of vessels, which can become costly-to-remove hazards to navigation and can emit seeping toxins — such as fuel and oil — that can pollute the environment. Signed into law by former Gov. Arnold Schwarzenegger in October 2009, AB 166 assists boaters in disposing their vessel in a legal and environmentally friendly manner. The law took effect in January 2010. Since AB 166 became law, 144 boats have been turned in to authorities and removed, at a cost of $1,638 per boat, according to a statement issued by Sen. Lieu’s office. 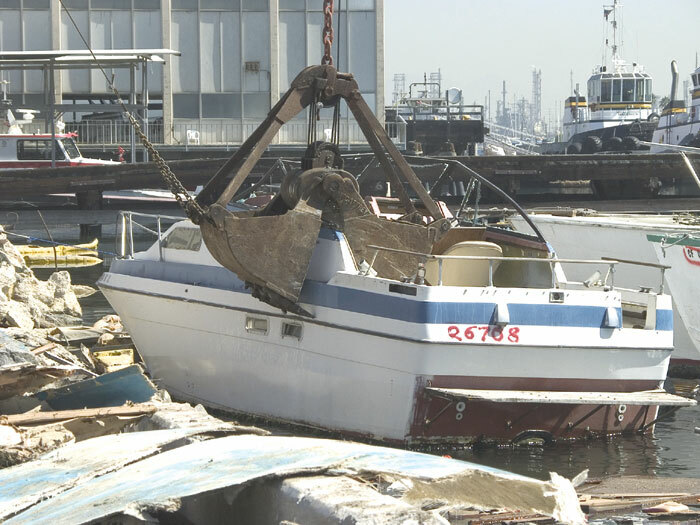 Under SB 122, the minimum penalty for boat owners who abandon their vessels would double to $1,000 — however, the state would offer a free alternative disposal method for boat owners interested in legally disposing of those boats, preventing them from becoming derelict vessels or navigational hazards. Boaters would be able to dispose of their vessels at no cost by contacting a local agency. The agency then would contact a contractor to dispose of the vessel. The agency would bill a state fund for the disposal costs. “AB 166 has been an important step in reducing the number of abandoned and derelict vessels within the marina, and should be extended and increased to the largest degree possible — which is what I understand SB 122 will accomplish,” said Greg Schem, owner of the Boatyard in Marina del Rey.